Home Celebrity Hilarious! Nigerian Superstars as Diseases…by Chris Ogunlowo. Hilarious! Nigerian Superstars as Diseases…by Chris Ogunlowo. Hilarious! Nigerian Superstars as Diseases…by Chris Ogunlowo. 1. Wizkid Syndrome: A chronic tendency to create catchy and repetitive hits to a loyal fan base with a boyish charm that induces envy from peers and late-bloomers, which also hides the fact, that one is approaching quarter-life. 2. Davidotis: A psychiatric condition whereby a sufferer survives speculations of whether genuine talent or one’s father’s wealth is the source of one’s success, alongside a pervading comparison with an equally talented whiz-kid. 3. Tuface Syndrome: A rare syndrome that occurs when prodigious talent meets prodigious baby-making ability but with a legendary status, strong social equity and a staying power that keep a whole industry in awe. 5. Dangotiosis: A condition marked by an obsession with Dangote‘s wealth, only curable by a decision to mind one’s own business. 6. Lindapilepsy: A strong and strange resentment that occurs when news of Linda Ikeji’s wealth arises, which is commonly observed among struggling publicists, jealous digital marketers, hungry journalists, and retired or rival bloggers. 7. Iyanyamariasis: The abnormal ability of a cell to spot errors in its former ways before proceeding to create a trademark style that takes waist gyrations to nerve-racking heights with performances worthy of Mr. Universe Pageantry. 8. Tontolitis: The debilitating ability to sustain fame in an erratic way as it was acquired while still smiling to the bank. 9. PSquarisasis: When two malignant cells take the understanding of a market to unprecedented heights resulting in a dominance previously thought impossible and doing it with a discernible Igbo accent. 10. Don Jazzy Disorder: A disorder that makes an organ produce back-to-back hits and maintain a social equity that can embarrass pastors and politicians, including a social media addiction and an idiosyncratic singing style that impresses. 11. Kceeosis: A cell’s ability to confuse celebrity with a right to make embarrassing wardrobe choices and a knack for coming out even more horrendous than a previous time despite public outcry and bile from popular bloggers. 12. Jenniferiasis: The ability of an organ to exhibit behavior that would ordinarily be considered razz to a point where the lines between acting and reality are blurred but compensated with popular adulation and brand endorsements. 13. MIplasia: A type of dwarfism that compensates the lack of bone growth with incredible rhyming prowess and a persona capable of inducing endless admiration and beef from hustling rappers. 14. Ice Prince Cerebral Cramps: A disorder that causes exaggerated hip-hop postures, a rigid conformity to infantile end-rhymes that turn rap songs into mainstream classics and also results in multiple awards than most “serious” rappers. 15. Mode Complex: An affliction that causes an artist to be the default reference for prodigious & clever wordplay that, sadly, does not correlate with the amount of albums sold or account balance, a living proof of the saying: ‘grammar no be money’. 16. Dakolomentality: A rare psychotic disorder that inflicts a sufferer with unlimited guttural talent but indistinctive brand positioning & packaging. 17. Olamide Palsy: A malignant tumor that involves a blatant display of one’s ethnicity and background combined with traits mostly reserved for touts but interestingly made into a premium musical package that surprises earlier sufferers of the same tumor who faded into obscurity. 18. Phynognomy: A severe condition similar to Olamide Palsy but with an Igbo flair and an ability to turn what would have been a bad hair day for most into a phenomenal signature look. 19. Bella Naija Syndrome: An affliction whereby the Nigerian national man-hour is spent keeping track of who wore what to where until one wakes up to the reality of a wasted lifetime. Tags # Celebrity # Hilarious! Nigerian Superstars as Diseases…by Chris Ogunlowo. Labels: Celebrity, Hilarious! 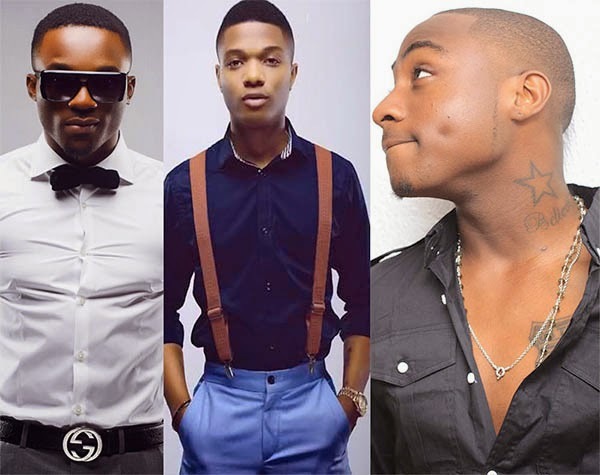 Nigerian Superstars as Diseases…by Chris Ogunlowo.